Cork & Keg Bar Has 12 Beers on Tap, Wine by the Glass & Live Music! Your one stop shop for all your wine and beer needs in Asheville! 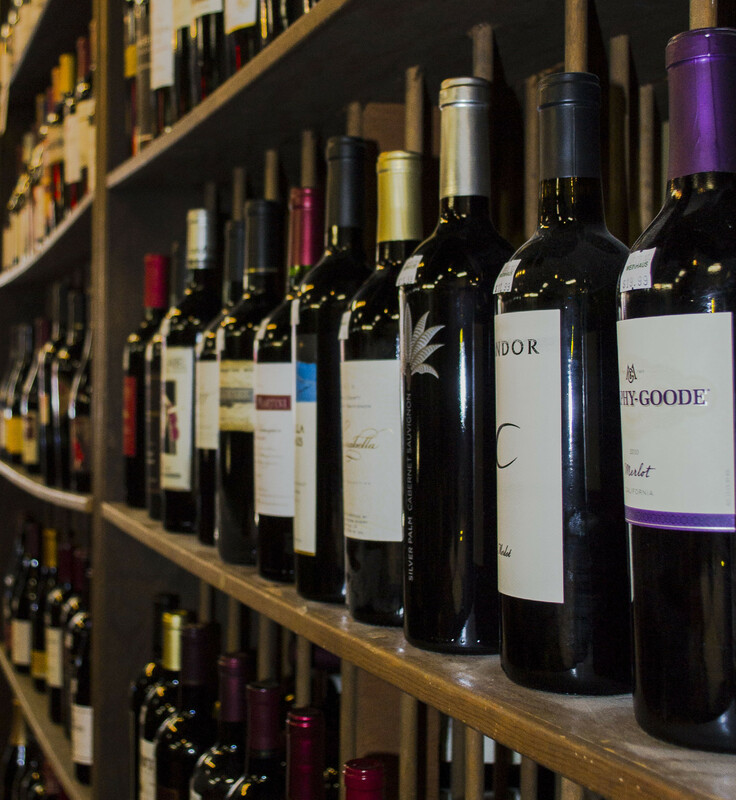 We have a large selection of wines from all over the world as well as local Asheville beers, microbrews, domestic and international beer selections and kegs! Hosting an event or planning a wedding in Asheville? Let us help make it easier with our experts in buying wine and beer for events! Our staff can help you determine how much to buy in bottles or kegs and even supply stemware if needed! With 12 Local NC Beers on tap, and a selection of beers and wine by the bottle or glass, cheese plates, lite fare and live music, the Cork & Keg Bar in downtown Asheville is sure to have something you are looking for! 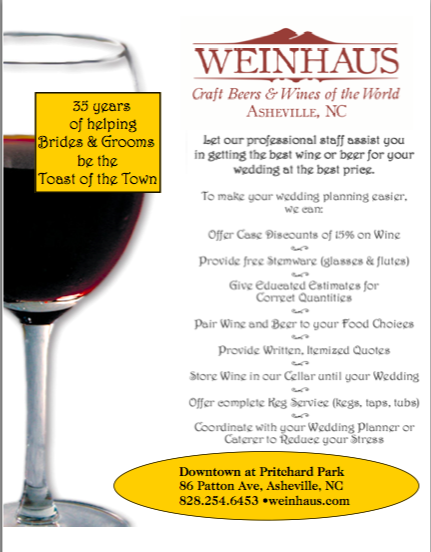 Founded over 40 years ago by Dave Mallett, the Weinhaus is Asheville’s oldest beer and wine store! A family run business now owned by Dave’s son Hunt, we offer the best selection of wine, beer, kegs, tasting events and dinners, a wine bar and taproom with live music and a team of knowledgable and friendly staff members who are here to help you with you’re every wine and beer need! Come to the Weinhaus, located in downtown Asheville, Saturday’s between 4-6pm & taste a specially chosen wine, with discounted bottle prices as well!